The analog signals are converted into the digital signals within the antenna unit and sent to the below deck processor unit via Ethernet network. This network technology eliminates loss of signal gain between antenna unit and processor unit that may be seen in conventional Radar system. FURUNO�s Solid State Radar technology generates clearer echo images, which allows users to obtain clearer picture of what are around their vessel, including weak targets from small craft. The newly developed Power Amplifier generates properly modulated radio frequency to the targets around the vessels. 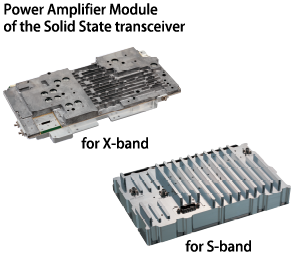 Also, the receiver catches the weak signals, which are processed inside the Power Amplifier module to reduce the clutters. Users can quickly adjust the radar image with a single action. When Automatic Clutter Elimination (ACE) function is activated, the system automatically adjusts the clutter reduction filter and gain control according to the sea and weather conditions selected (Calm/Rough Sea/Hard Rain). Our advanced echo averaging architecture is also incorporated into Automatic Clutter Elimination (ACE) function. Users can avoid complicated adjustment processes, resulting in clear echo images. FURUNO offers workstations that combine flexibility and redundancy. 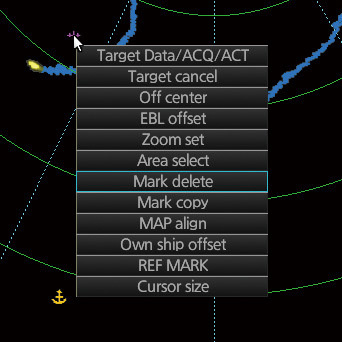 Users may easily select ECDIS, Chart Radar, Conning display or Alert Management System at any multi-function display. Navigators will enjoy reduced workload and significant freedom to move about the bridge. All necessary information is available on a variety of displays and at locations that may be altered as required. 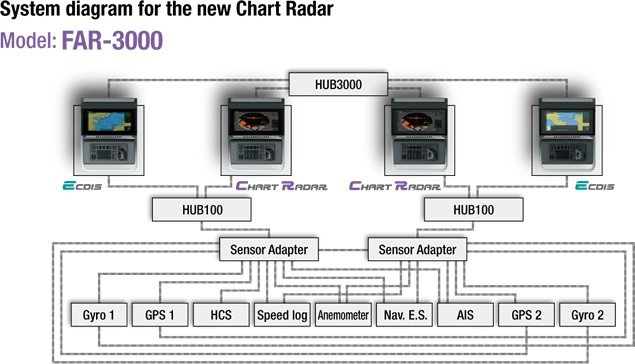 The Sensor Adapter acts as a central medium to gather all of the sensor data and collectively feed it to all FAR-3000 Chart Radar and FMD-3200/3300 ECDIS in the network. 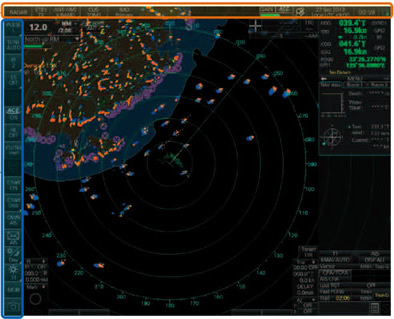 Since the sensor adapter can be extended to interface with all the sensors within the network, individual cable connections in the sensor-to-Chart Radar/ECDIS interface can be greatly reduced. Navigation sensors can be directly interfaced with the processor�s 8 serial I/0 ports. ● The networked sensors include analog sensors. In order to integrate onboard sensors into the navigation network, the sensor adapter may be interfaced with the switching hub HUB-100 from which distribution of the sensor data throughout the network is possible. Alternatively, multiple sensor adapters may be interfaced via Ethernet to integrate onboard sensors for use in the shipboard network. 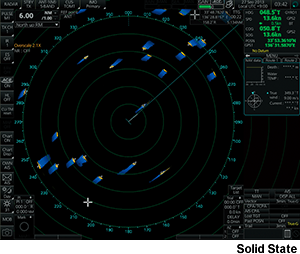 The user interface of the Radar utilizes carefully organized operational tools: The Status bar and The InstantAccess bar. 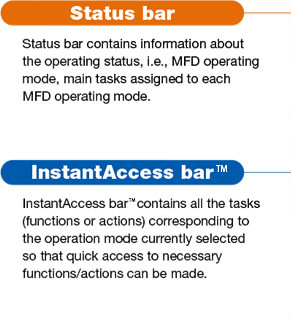 These operational tools deliver straightforward, task-based operation by which the operator can quickly perform tasks without having to navigate an intricate menu tree. All operations can be controlled with the trackball. The context menu contains all the available actions related to the selected icon or area, it provides quick access to tasks.